The Nigerian National Petroleum Corporation (NNPC) subsidiary, NNPC Retail, along with 22 major and independent petroleum products marketing firms owed the federal government at least N86.4 billion by July 21, 2016. The debts are in respect of products allocated to the companies by the Pipelines and Products Marketing Company (PPMC) for distribution over the last 10 years, details seen by this newspaper show. The documents were filed to the Economic and Financial Crimes Commission, EFCC. Members of the Major Oil Marketers Association of Nigeria (MOMAN) and the NNPC Retail (mega filling stations) account for about 85 per cent of the debt, while the independent marketers owe the balance. Oil (N1.42 billion), Conoil (N1.3 billion) and Mobil Oil (N276.95 million). The independent marketers include Master Energy (N5.5 billion), MRS Oil & Gas (N3.997 billion), Heyden Petroleum (N2.7 billion), Danium Petroleum (N2.35 billion), A&E Petroleum (N1.89 billion), Rahamaniyya Petroleum N1.65 billion), Càpital Oil (N1.3 billion), and Amicable Petroleum (N495.35 million). Others debtors are Aiteo Petroleum (N426.37 million), Honeywell Oil (N40.96 million), DM Kurfi (N36.11 million), Ascon Petroleum (N20.04 million), Azman Oil (N19.35 million), Felande Petroleum (N8.4 million), Sharon Oil (N3.8 million) and Zamson Petroleum (N3.06 million). The most indebted companies are owned by some of Nigeria’s and Africa’s richest billionaires. Oando PLC, which owes the largest chunk of N25.05 billion, is owned by Wale Tinubu. 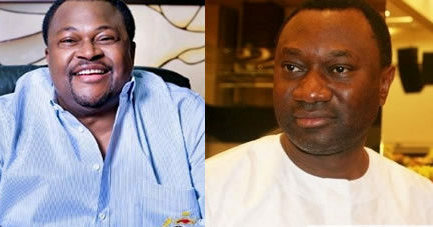 Femi Otedola, another billionaire, owns Forte Oil, which is responsible for N10.09 billion. Conoil is owned by Mike Adenuga, who is also the telecoms company, Globacom. The company is owing N1.3 billion. The allocation of products to the firms was under the intervention bulk allocation arrangement and intervention truck distribution to marketers by the NNPC marketing and distribution subsidiary from its Suleja, and other products depots across the country. The arrangements fetched revenues from partnership agreements for products supplied by the PPMC, which the oil marketing firms refused to pay to the government over the years. A law firm, B. I. Murtala & Co., had petitioned the EFCC, accusing top NNPC and PPMC officials of “abuse of office, economic sabotage, illegal diversion of petroleum products, illicit enrichment and corruption as well as criminal conspiracy”. The petitioner listed suspected officials it wanted investigated to include the Supervisor and Area Manager, Kaduna Depot of PPMC, Ajabi Hussaini and Rabo Shuaibu respectively, and Manager, Programming & Operations, NNPC, Abuja, Ahmed Tukur Gwarzo. Others include Executive Directors, Commercial as well as Shared Services, PPMC, Ezecha Justin and Mustapha Muhammad respectively, and Manager, Finance & Accounts, PPMC, Titonenye Kokade. “There exists a conspiracy between PPMC/NNPC and suspected oil marketers who deliberately withheld huge government revenues in respect of petroleum products received on credit without due payment or remittance into the Federation Account,” the petitioner said. The law firm alleged the process of allocation and distribution of petroleum products by PPMC/NNPC was fraught with fraud and criminal conspiracies with marketers, leading to massive diversion of government revenues from the federation account. Following EFCC’s investigations, NNPC Retail paid back over N15.95 billion between July 25 and August 1, 2016, with over N6.62 billion still outstanding. The EFCC also recovered over N5.57 billion from NIPCO, leaving a balance of N1.93 billion. Other recoveries include N1.2 billion from Master Energy, with N4.31 billion still unpaid; N2.2 billion from MRS Petroleum, which still has N1.75 billion to pay, while Rahamaniyya Oil & Gas repaid N400 million, to leave N1.25 billion unsettled. The PPMC, through a memo, August 1, 2016, by the NNPC Company Secretary/Legal Adviser, Omoluabi Victor, informed the EFCC of the payments. IPMAN President, Chinedu Okoronkwo, did not respond to phone calls on Sunday. He also did not respond to a text message. However, a senior official of the MOMAN, who asked not to be named because of the sensitive nature of the issue, said the relationship between NNPC/PPMC and marketers allowed marketers to owe for a long time without reconciliation and payment. “Products are supplied and an average of two weeks grace given for payment. Depending on the time of reconciliation, there could be credit and debit here and there. There is no month marketers would not owe NNPC for products supplied. “There is always overlapping period before reconciliation. But, no marketer would owe for a long period of 10 years without NNPC taking action to recover monies from them,” he said. “NNPC Retail has a credit period of two weeks with PPMC. But, from June, we wrote to PPMC and insisted we want to proceed on cash and carry basis. So, we have been paying for products, and sometimes cannot even lift all,” Mr. Jumah, who is also the GM, Finance & Accounts, NNPC Retail,” he said. The spokesperson for Forte Oil, Sam Ogbogoro, asked for time till Monday to respond to PREMIUM TIMES enquiry, as he would need to consult with officials of the company familiar with the facts of the case before responding. He did not revert at the time of this report. GET THE INFINIX ZERO SUPERCHARGED + FREE DELIVERY ON ALL ITEMS PURCHASED THIS WEEK!